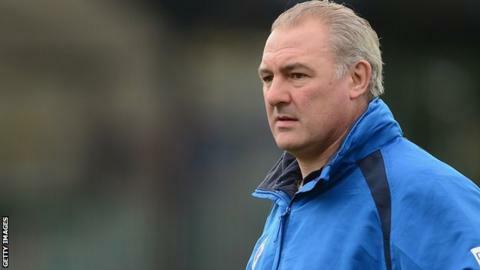 Bath director of rugby Gary Gold has left the Premiership club. The 46-year-old South African took over at the Rec in May 2012, replacing Sir Ian McGeechan. A statement on the club website said his departure followed a restructure in the rugby department and the decision was made "with the interests of both Gary and the club in mind". Under Gold, Bath, who have not reached the end-of-season play-offs since 2010, have risen to third in the Premiership following a run of four league wins in a row. The West Country club are also top of their Amlin Challenge Cup pool with three wins out of three, and are leading their LV= Cup pool with two wins from their opening two matches. Gold first gained Premiership experience during his three-year stint as a coach with London Irish. After a period back in his homeland, working with Western Province and then the national team, he returned to England for a six-month spell as director of rugby at Newcastle Falcons in January 2012. Gold was initially named head coach at Bath, with ex-Lions man Mike Ford coming in as defence coach, and London Irish pair Neal Hatley and Toby Booth appointed as forwards coaches. That setup was restructured this summer following a disappointing Premiership campaign in 2012-13, with Ford moving to a head coach role and Gold to director of rugby. Bath have won their last nine games in all competitions and are top of their Amlin Challenge Cup group following Saturday's 55-8 victory over Mogliano. It is understood the club are on the lookout for an attack/skills coach to work with head coach Mike Ford and first-team coaches Toby Booth and Neil Hatley. One of the candidates is the England rugby league coach Steve McNamara, who has visited Bath recently and knows Ford well from their time in league. McNamara's contract as England boss expired after their semi-final exit at the recent World Cup.